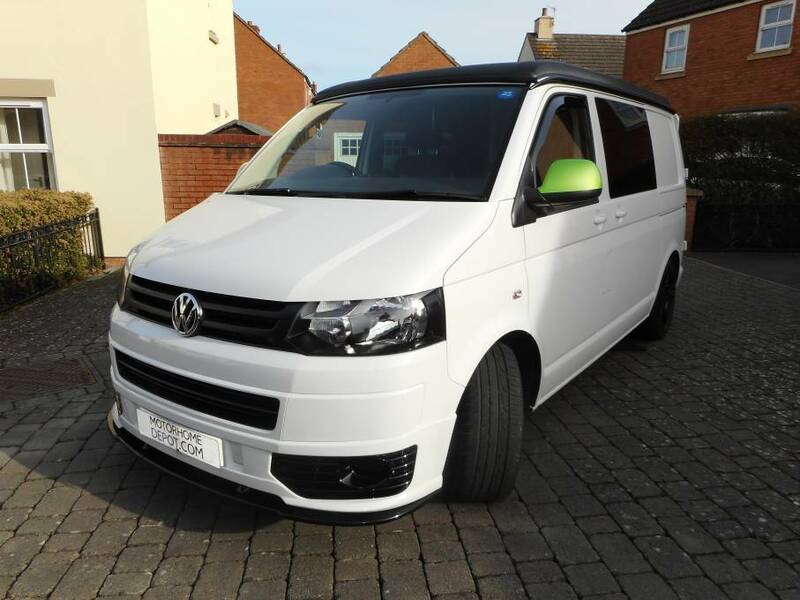 Located in Gloucester is this stunning VW T5 campervan. Custom converted from new to the exacting standards of the present owners this is a real head turner. 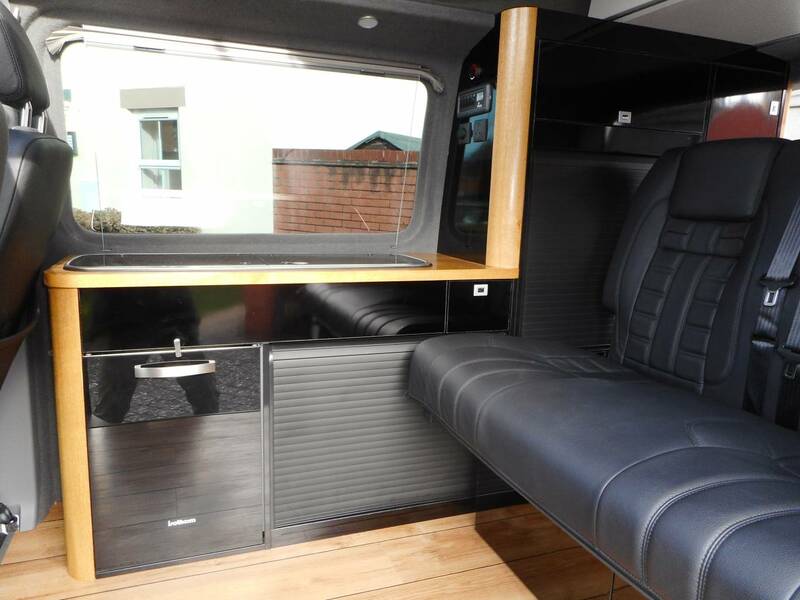 From the leather seats to the hydraulic assisted upper bed the camper oozes quality. 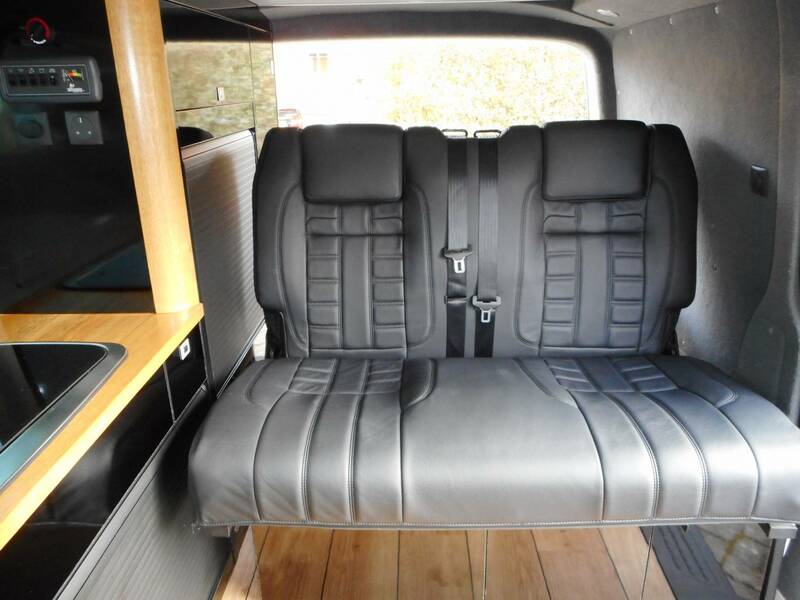 Based on a VW T28 SWB Transporter 2L diesel, this T5 has four travelling seats with belts and sleeps four. 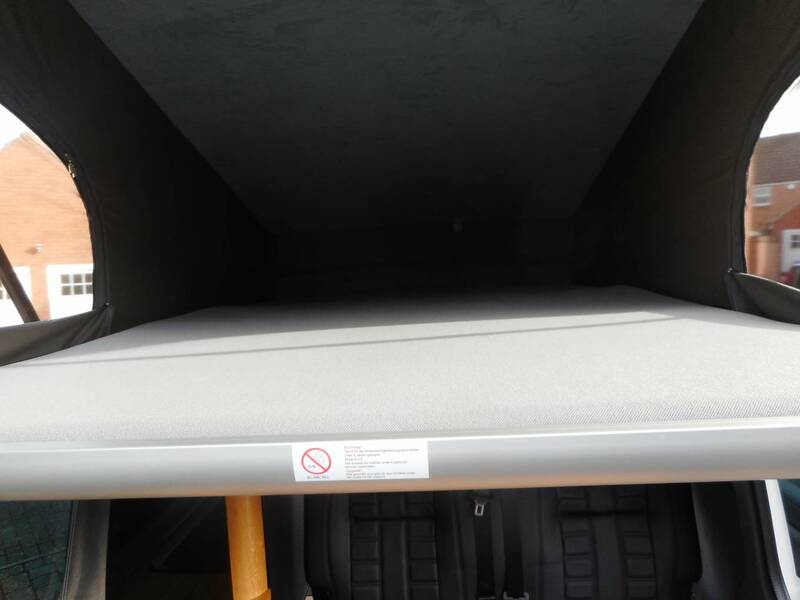 The rear seats convert to a crash-tested double bed. 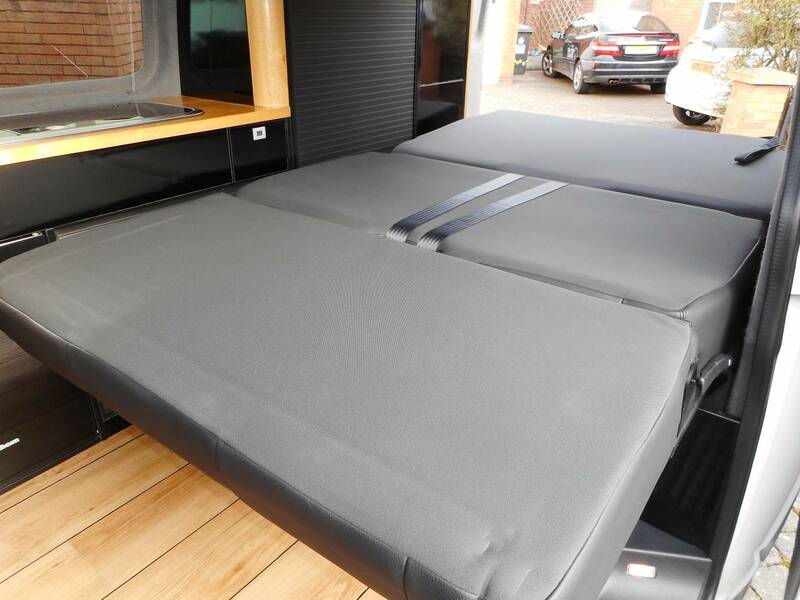 The elevating roof provides plenty of light and head room, and the upper bed simply pulls down when required, no messing with heavy boards. 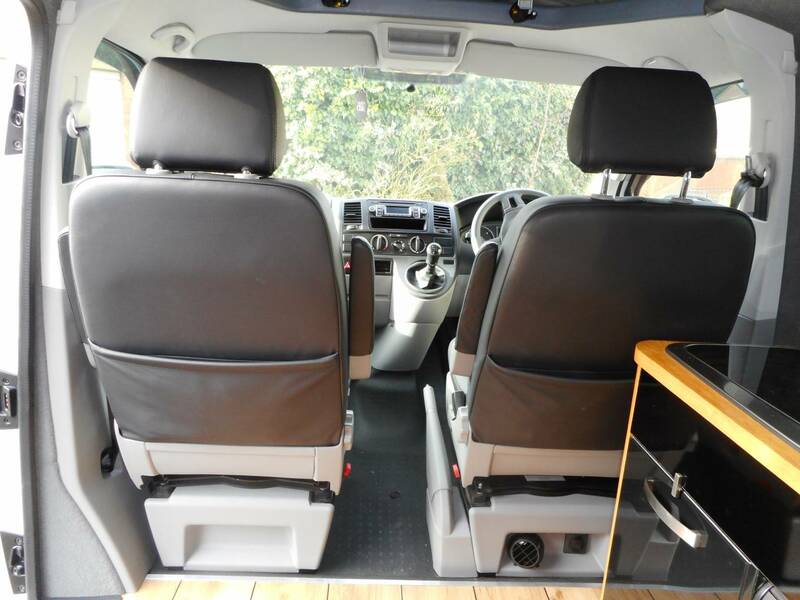 The driver and passenger seats are traditional Captains chairs that swivel easily, and when on location the van is kept cosy by the Webasto diesel heater. The van comes equipped with a two-ring gas burner hob, sink, and electric fridge. 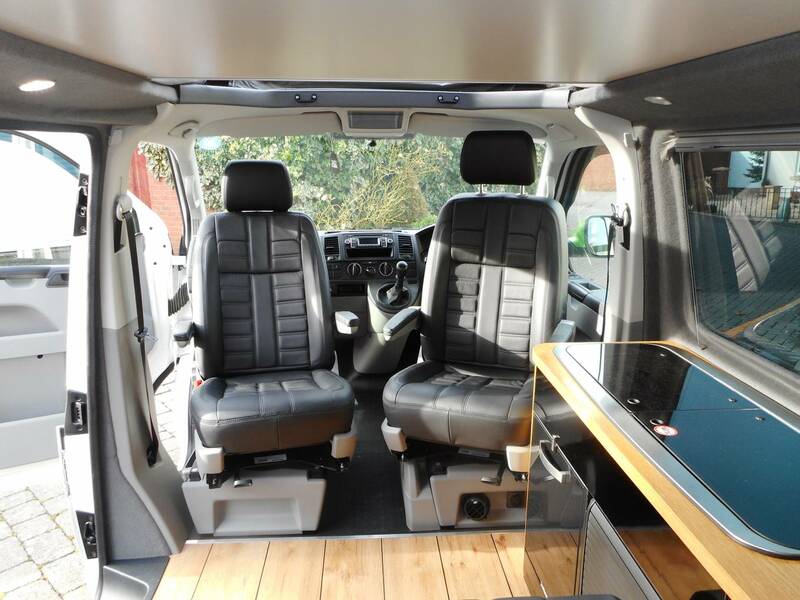 There is plenty of storage throughout and the vehicle comes with driver and passenger air bags, electric windows and mirrors, window blinds, front windscreen privacy wraparound, gas bottle, and 240V and 12V sockets. 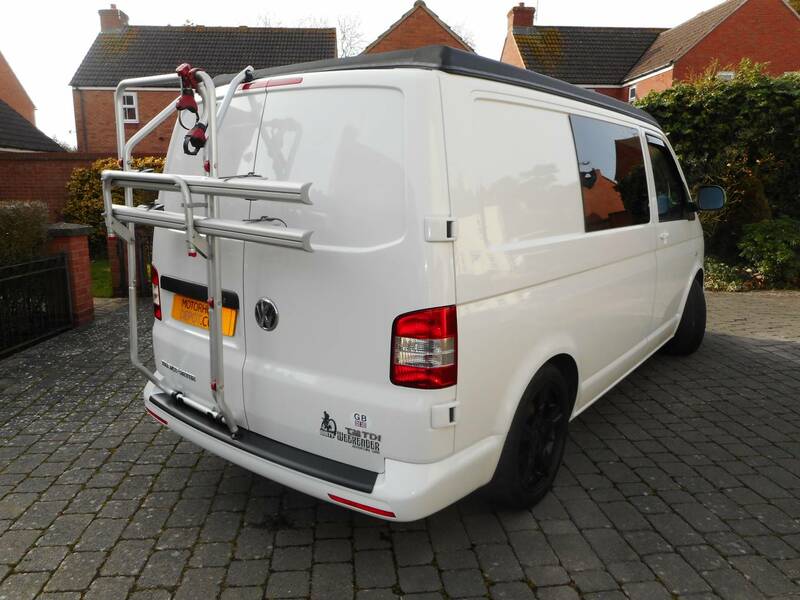 The exterior is pristine, has alloy wheels, colour coded bumpers, a double bike rack and awning rail. This VW T5 comes with a new MoT. 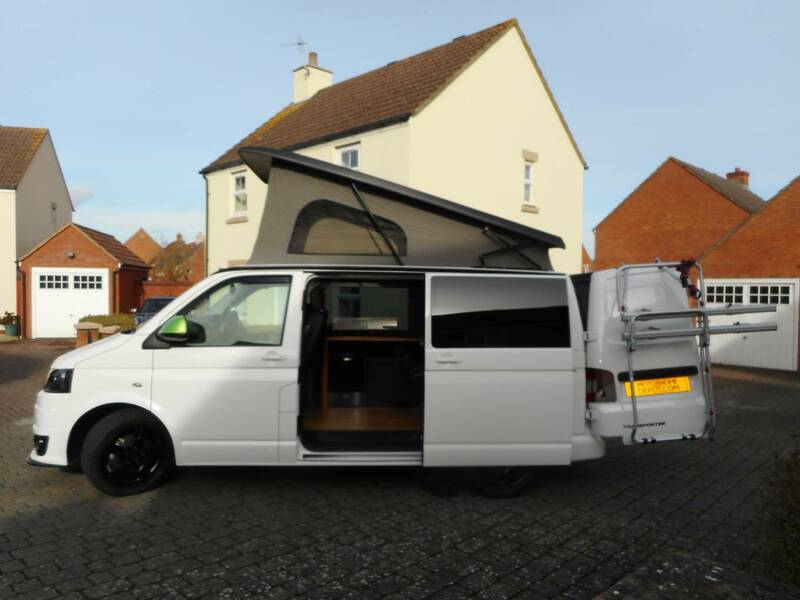 The campervan has always been garaged and is only used when touring. This is a VW that wltm new owners to share adventures with. Please call Tonia or Martin for the full photo album and video tour.